Despite what you might have heard, holiness is not outdated or irrelevant. God puts nothing in His Word as a command that we can’t accomplish with His help. God says, “You must be Holy, for I am holy.” (I Peter 1:16) If He tells us to do it, that means through His grace and strength, we can. His grace is actually for our empowerment -- not an excuse to do whatever we want. My response in light of His Word is to realize, it’s not about my desires, feelings, moods, urges or cravings. Being led by any of these things is a recipe for disaster. Holiness doesn’t happen in my strength, only through His. God knows I have tried so many times on my own and have failed! But, I have learned it’s not about trying harder – it’s about total surrender. Absolute 100% no-holds-barred obedience to God. Rare is the person who has totally surrendered everything to Him, withholding NOTHING. There are decisions I make daily that move me closer to or further away from holiness. Guardrails are in my life, but more important is my daily decision to let God be the driver of my life, instead of me. Rather than try to stay within the guardrails while I navigate my life, it’s about letting Him direct my life entirely. And, living in daily repentance and practicing confession. Yes, I believe in confession. No matter what our season in life or our situation, it’s easy to start preferring our personal comforts or desires over the will of God . When I stay in the place of total surrender to Him and His way, amazing things happen. And when I start doing the driving again, things fall apart. Honestly, they usually don’t fall apart right away. That's a trick of the enemy in itself. The fact that things go okay for a while, or even great, makes me think I’m on the right track for a bit. But eventually I hit a wall. I realize I will never fulfill my destiny without following His design. The fight to be pure in body, mind and spirit is a daily battle. Right now there are some issues I struggle with more than others, as it pertains to holiness. These aren’t sins that would disqualify me under ministerial standards, nevertheless I know God is not pleased. His standards are higher than what is required to be an Assemblies of God minister. And ultimately I need to please Him, not the Assemblies of God. For instance, you can eat way too much and be an Assemblies of God minister. You can gossip and be an Assemblies of God minister. You can be jealous and be an Assemblies of God minister. You can covet your friend’s stuff and be an Assemblies of God minister. You can have malice in your heart and be an Assemblies of God minister. You can do a lot of things as a minister that God explicitly says in His Word are wrong, and in some cases abominable. This week I asked two friends to keep me accountable in some areas I currently struggle in. And they are not mistakes as we so often like to call them – they are sins. It’s more comfortable for me to call them errors or mistakes but they are not. It’s so important to connect with others who are pursuing Jesus with all their hearts. Only in this atmosphere of accountability can I grow – can any of us grow in our faith -- and do what is pleasing to God. I don’t want any of my sin to be dealt with superficially because then it wouldn’t truly be dealt with at all. And in the end it would destroy me. I’m thankful for friends I can be real with to the core, who will keep me on the straight and narrow. 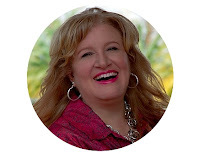 Recently on the PF Women's Ministries Couch Tour I’ve been preaching a message and sharing a story of one of my worst sinful failures and God’s redemption. Some people may have been surprised that I shared it but the truth is, we don’t grow in an atmosphere where we only hear about people’s successes. This is why confession is important to me. No, not as a mediator between myself and God. Jesus took care of that with his death, burial and resurrection. 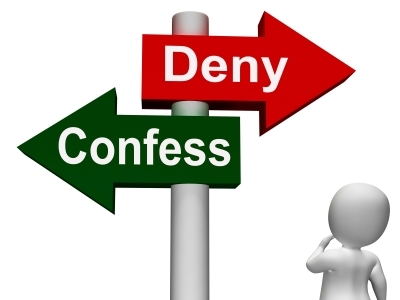 I speak of confession as James 5:16 says – confessing our sins to one another so we can be healed. I know there are many people who would love to see me, and people like me, fall. They would gladly rejoice in my failure much more than my success. By God’s grace, they won’t have that opportunity.